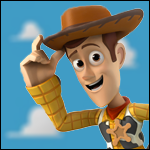 Disney Infinity Fans • View topic - Customizing Disney Infinity Figures? I was just wondering if anyone did something to customize their disney infinity figures, like coloring or painting on the etc. If so, do you have a duplicate of the figure you've customized so that you have a normal and customized version of the figures? It's something I've been thinking about but I'm not a very artistic person. Re: Customizing Disney Infinity Figures? check out some threads around the forum! Thanks for those links, Toops!